Flat roofs create unique challenges. Pooling, also known as ponding water is a common problem due to lack of drainage, blocked drains, or insufficient sloping. 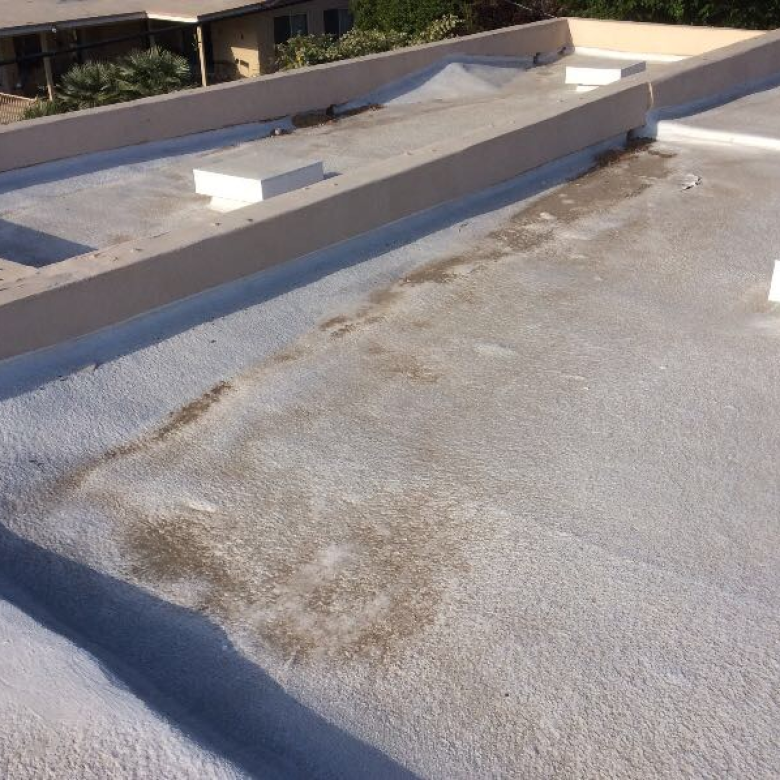 Ultimately, it can deteriorate a roof and leave it vulnerable to leaking and loss of structural integrity. Excessive moisture can lead to mold and fungus. 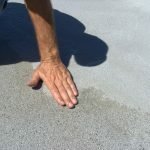 According to the NRCA Roofing Manual: Membrane Roof Systems–2011, “The criterion for judging proper slope for draining is that there be no ponding water on the roof 48 hours after a rain during conditions conducive to drying.” Sufficient drainage is the key to maintaining a damage-free roof. One way of achieving this is slopping the roof towards the gutters, making sure there are no areas of pooling, and keeping gutter maintenance on the up & up. In addition to the usual cleaning that is required of gutters, these maintenance tips should be conducted at least every six months—more so if there are branches and leaves that hang over the roof. Remove debris from roof as well as gutters and keep tree branches trimmed. Spring and fall are usually the recommended times for cleaning. Ensure gutters are doing their job, have no leaks and are properly secured. 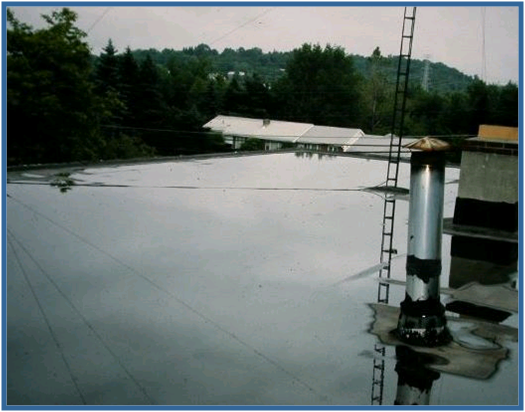 This includes checking for corrosion, loose fittings and damage that has caused them to pull away from the roofing. Check for separation along the seams. These can usually be resolved by resealing. If rust or corrosion has formed, it will need to be replaced. Fix any issues as soon as possible to diminish the chances of further damage. Check that water is flowing as designed. This includes checking to ensure that gutters are angled properly and downspouts funnel water away from the building and the foundations. Slow draining gutters can be caused by changing pitch due to damage such as loose hangers and sagging gutters. Check downspouts for any damage and make sure they are firmly in place. 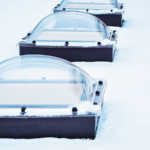 It’s a good idea to check these on a monthly basis to decrease the chance of flooding. If in a high-wind area, use gutter straps to ensure they stay in place. Inspect gutters and roof after a storm. Check for mold and mildew and remove. Consider commercial gutter guards if you have a large volume of water shed into the gutters and frequent clogging with leaves and debris. Reduce pooling and stagnant water. In addition to causing leaking, it can also create a breeding ground for mosquitoes. If enough water forms, stress can cause wood rafters to bow. Water can eventually seep into the infrastructure and cause damage to the inside of the building. Melting ice and snow can become trapped if gutters have accumulated debris, causing excessive weight and roof damage. Ice damming can occur in gutters during freezing temperatures. Overflow from blocked gutters causes damage to the exterior of your building as well as the foundation. Damage can occur to the sidewalks and other material or plants found beneath the gutters. Excessive water can cause a slipping hazard. Excess weight in the gutter can lead to damage to the gutters themselves including pulling away from the building and will ultimately require replacement. Insurance claims regarding damage to the building can be rendered void if damage is found to be caused by blocked gutters. If downspouts are not diverting water correctly, damage occurs to both the foundation and landscape. Flooding can eventually occur. It’s important to be proactive and stop problems before they arise, saving time and money. Contact us to get additional information on how our product can help you fix ponding water issues. 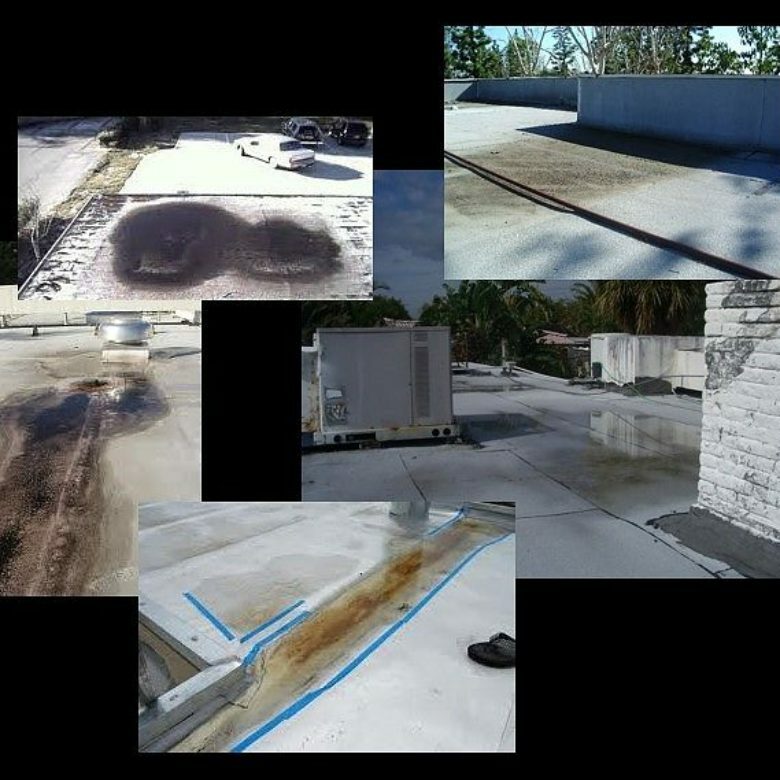 Our patented technology is designed to correct inadequate drainage and prevent ponding water areas on existing installed roof systems.